At Oh My Got, we insist on providing our clients with complete confidence in their buying, which is why all diamonds and precious stones we use to craft our exclusive cufflinks are certified by IGI Antwerp. If you order a pair of Oh My Got diamond cufflinks, you will therefore also receive an accompanying IGI certification card, a unique testimony to quality. Be sure to read on! The International Gemological Institute (IGI) is the world’s largest independent gem certification and appraisal institute. The IGI is worldwide renowned for its quality services, extensive experience and know-how. IGI has established a network of 18 laboratories and gemological schools around the world located in the major diamonds hubs. What is the IGI Diamond & Jewelry Report? The IGI Report or IGI certificate is an international passport which gives an accurate and unbiased opinion of diamonds (and other precious stones) based on the 4 C’s: cut, color, clarity and carat weight. The IGI Jewelry Report identifies and attests to the specific characteristics of Oh My Got’s cufflinks and the diamonds they contain. It represents the all-important 5th C that no one should be without: confidence. IGI certification: what are the 4 C’s and what do they represent? 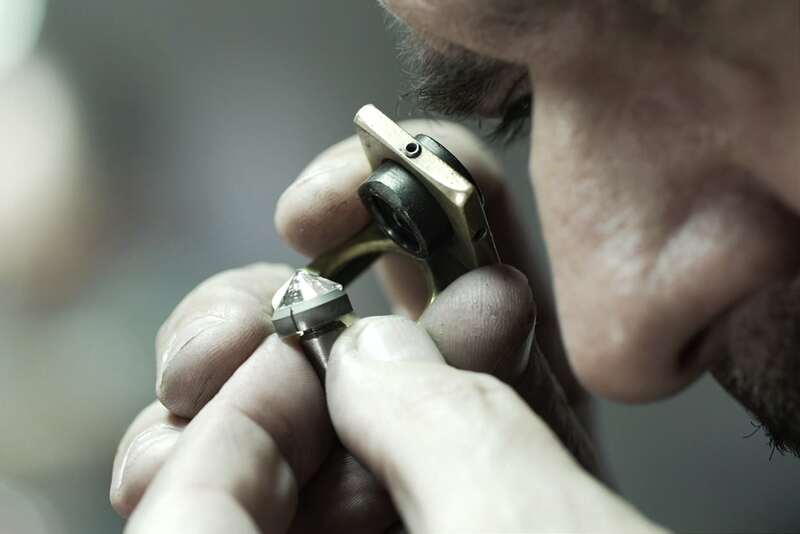 With a reliable IGI certification, you know the precise grading for each of the 4C’s – Cut, Color, Clarity and Carat – and, therefore, the diamond value. A larger diamond – one with greater carat weight, may be lower in price than a smaller one because its cut, clarity and color are not as special. So, all 4C’s must be taken into account to determine the value. Among the 4Cs of diamond value, cut is considered the most critical. Cut is what unleashes a diamond’s singular beauty. It’s the source of a diamond’s sparkle. How a diamond has been cut, polished, and to what proportions and symmetry, are of utmost importance since these factors determine the life, brilliance and dispersion of the diamond. If these cutting factors fall below standard, the appearance of the diamond will be affected. Most diamonds of gem quality vary in shade from colorless to yellow. To determine the correct color, diamonds are compared to an internationally accepted master set of stones, the color of which ranges from D, or colorless (the most sought after) to Z, the yellowest. Other colors occur in diamonds such as brown, orange, pink, blue, etc. The most intense of these shades are determined as “Fancy” colors and referenced on the IGI Diamond Report. Diamonds may contain inclusions (Internal flaws) undetectable to the naked eye. In order to grade the clarity of a diamond it is necessary to ascertain the number and nature of any inclusion in the stone as well as the size, position and color of the inclusion. IGI carries out this process using the I.G.I scope and 10x triplet loupes under the experienced eye of trained gemologists. The weight or size of a diamond is measured in carats (ct). A carat is 0.2 grams and there are 100 points (or 200 milligrams) per carat. With an accuracy of 1/ 100,000 ct, IGI scales provide a highly precise diamond weight and this weight is specified on the IGI certificate up to two decimal points. Why is the IGI certification important? Traditionally, shopping for jewelry was a family affair based on generations of trust. Traders were not sure about the goods they were buying and customer’s confidence was on stake. The diamond industry was stuck to the standard quality criteria of four C’s— Carat, Color, Clarity and Cut for ages together. IGI took several initiatives to make the consumer and industry aware and the trade today is awakening to the fact that there is growing demand for certification of diamonds and diamond jewelry. They realize that a gemstone, which is certified, provides consumers with confidence and security helping them to make the right buying decision. What are the benefits of IGI certification for Oh My Got’s clients? Oh My Got as a responsible brand intends to keep the consumer faith by offering crystal clear transparency. Thanks to the IGI certification, our clients – you – can take their mind off the worry and focus on the beauty and craftsmanship. In other words: if you buy Oh My Got’s cufflinks, you can rest assured you are purchasing top quality cufflinks with natural diamonds and precious stones that will retain their value for generations to come. We would like to thank the IGI for their assistance with this article. Curious about our IGI certified cufflinks? Do you have any questions regarding the IGI certificate? Please don’t hesitate to contact us. Are you curious about Oh My Got’s IGI certified cufflink designs? Be sure to explore our collections!